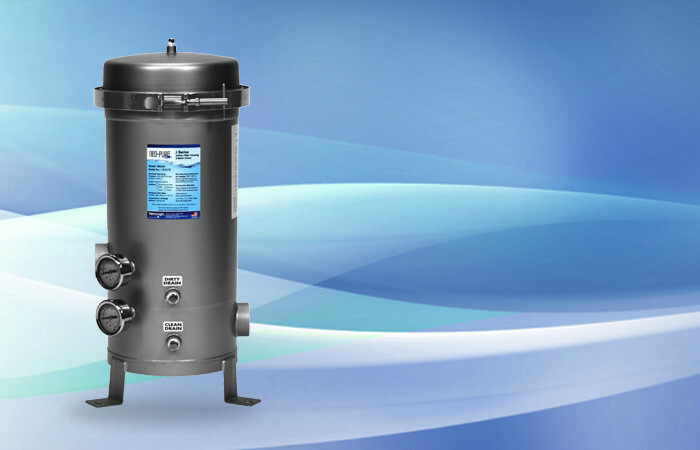 The optional 3M™ Epoxy Coating offers protection from caustic chemicals and sea water for Neo-Pure stainless steel housings. Neo-Pure offers 3M™ Fusion-Bonded Epoxy Coating for sea water or harsh chemicals applications and can be used in a wide temperature range. This coating is applied to Neo-Pure stainless steel housings at the point of manufacture in the American plant. 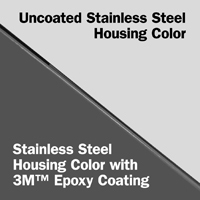 This one-part, heat-curable, fusion-bonded epoxy coating is lightweight for low shipping costs. The coating is sprayed onto the pre-heated steel. It then melts, creating uniform coating coverage over the entire housing of approximately 6 to 10 mil. This epoxy coating prevents housing deterioration and service disruption due to corrosion loss from sea water or harsh chemicals.